The solution must be an online, interactive tool that meets the goals and objectives provided in this document. The solution must be in open source code. The solution must include documentation of all data sources used. The solution must include a description of how the tool can be updated with additional data from other agencies. The solver must provide recommendations to enhance Government insights through improvements in data collection. The tool addresses the primary goal of the challenge. It is a finished product that can provide insightful analysis and show agencies how and where they are spending money on travel. The tool can provide recommendations for cost-savings behaviors. The tool can be easily updated with new data by the back-end user. Does not meet the goals and requirements of the challenge. Meets few elements of the requirements of the challenge and goes a short way towards meeting the goal of the challenge. Meets most of the requirements outlined in the challenge and contributes to the overall goal of the challenge. Meets all requirements outlined in the challenge, and provides substantial contribution to the goal of the challenge. Solver product meets all requirements outlined in the challenge and provides additional, unique, useful capabilities that meet the overall goal of the challenge. The tool aggregates, synthesizes and displays travel data in a way that is easy to understand, visually appealing, and will help drive drive understanding of current trends as well as recommendations for future savings. Data is not used, or outcomes are off base. Unsuitable for use by the government. Limited use of the data provided in the challenge, resulting in less than desirable outcomes. Uses some of the data provided by OGP, and/or other sources, but the outcomes presented through the data are not of a high quality. Uses the data provided by OGP, as well as other sources of data to produce effective outcomes. Uses the data provided by OGP as well as additional, publicly-available data from a variety of sources to produce outstanding outcomes. 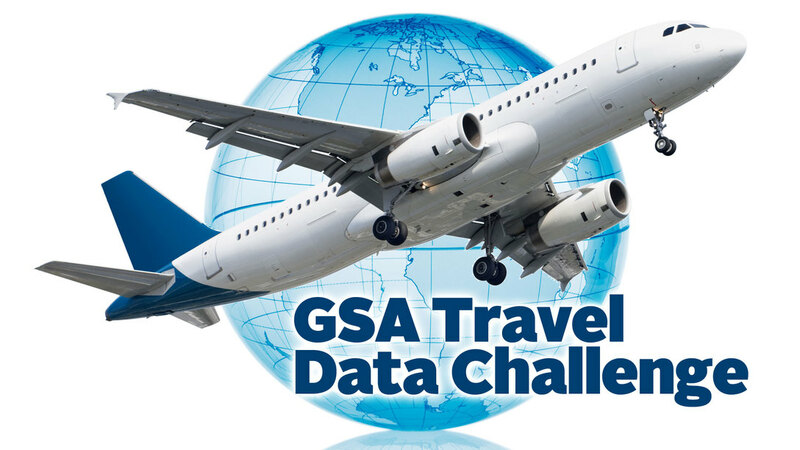 The tool exceeds any internal capability that GSA has for analysis of travel data through its incorporation of creative design elements and innovative capabilities. Is extremely innovative and creative. Is extremely innovative and creative, leading to new insights and desirable outcomes. The solver provides recommendations for additional data elemetns to be collected by the Government. The solver identifies gaps in the data and utilizes external data sources and research to aid the government in setting future data collection policies. Information is lacking real recommendations or insights. Information is useful and insightful in at least one meaningful way. Information is useful and provides the government with some suggestions for future improvement in data collection. Information provided is extensive, well thought-out, valuable, and insightful. There will be six judges, each a senior career official of GSA with expertise in government-wide policy, travel, information technology, and/or acquisition. Each judge will award a score to each submission and the winner(s) of the competition will be decided based on the highest average overall score. GSA will also have a technical advisor from Sabre, Inc who will assist the judges in evaluating the submissions as needed. However, the technical advisor will not vote in determining the prizes. Judges will only participate in judging submissions for which they do not have any conflicts of interest. Entries must be submitted online via ChallengePost by 11:59pm EST on April 11th, 2014.